Prime Minister’s Questions is a half hour session in The House of Commons in which Members of Parliament are able to question the Prime Minister on Government policy and relevant political issues. Government and Parliament are two different things that often get confused with each other. Select Committees are groups of cross-party MPs who hold the government to account on behalf of Parliament and scrutinise government activity. Members of Parliament regularly hold surgeries, and no, we’re not talking about medical procedures! 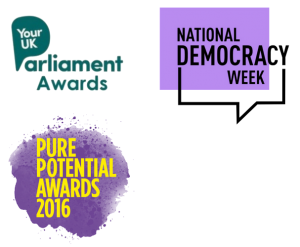 They’re an opportunity for you to discuss issues that matter to you with your local MP in a 1-1 setting.